Week 1 was about reformulating my plan after finding out that I wasn’t selected to be a Mamavation Mom and that there was not going to be a MILI campaign. Week 2 was about getting my feet under me and implementing that plan. So, naturally, Week 3 is about hitting my stride. As this week begins, I will be jumping back into another 2 Week Challenge, and I feel good about finishing this one. I have decided to not weight myself halfway through, because I am learning that my losses only like to show themselves every other week anyway. Speaking of weight loss, I lost 4 pounds this week for a total of 18.4 since applying to be a Mamavation Mom. More important than the losses of inches and pounds, I have gotten into a flow. Food has less power over me, and I no longer feel like I am missing out on life. I am slowly learning that I can control myself without depriving myself. Did you hear that people? I have discovered MODERATION. 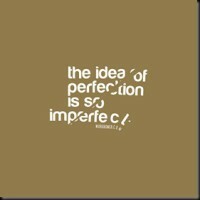 I have finally discovered that I don’t have to be perfect, that there isn’t a perfect. I learned that trying to be perfect only guarantees my failure. Iknowright, what a revelation! So, I go into this two week challenge trying to make the most out of it that I am able. What does week 3 hold for you? Are you learning anything interesting about yourself on this journey? 4 lbs is beyond amazing! WOW!!!!!!!!!!! I am so proud of you. SO PROUD!!! I am honored to be able to follow your journey and to count you as my friend. 🙂 You are an amazing women and I am glad that you are fighting and haven’t given up. I’m glad you are finding your stride & congrats on the weight loss!! That’s awesome! Have a great week! Moderation is amazing. You are doing awesome! 4 pounds! You totally rock and are an amazing inspiration to those of us following your journey. Awesome job!!!! 4lbs is amazing, you are doing great! You have a great attitude and are right, no one is perfect nor should we try to be. Great work on the weightloss. Keep up that attitude. This two week challenge will be great. 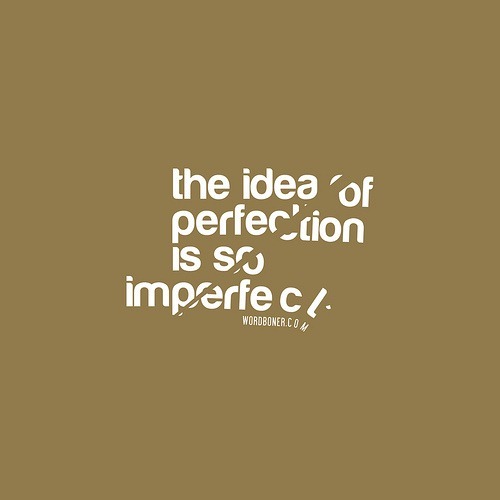 No one has to be perfect. We are only perfect if we accept ourselves for who we are. You ROCK girl! Look at you going, and just think about how far your going to get in the next 2 weeks! SOO proud of you, and so glad that I’m along side you on this journey. GO US!